AsapSCIENCE has made an awesome video called This is NOT NATURAL based on the work I’ve been doing on this site. Watch the video and read the comments thread for some insight into the discussion (and misinformation) that spreads online regarding ‘natural’ and ‘healthy’ products. One of the most upvoted comments is actually a thinly-veiled advertisement for a book called “The Coconut Oil Secret: Why this tropical treasure is nature’s #1 healing superfood”. Click through to their product page and you’ll see why the natural/organic sector needs more regulation, and why consumers need to be better-informed. Check out the video below, or click here to visit the comments thread on YouTube. Personal Care Product Ingredients: Are Natural, Chemical Free, and Organic Always Best? 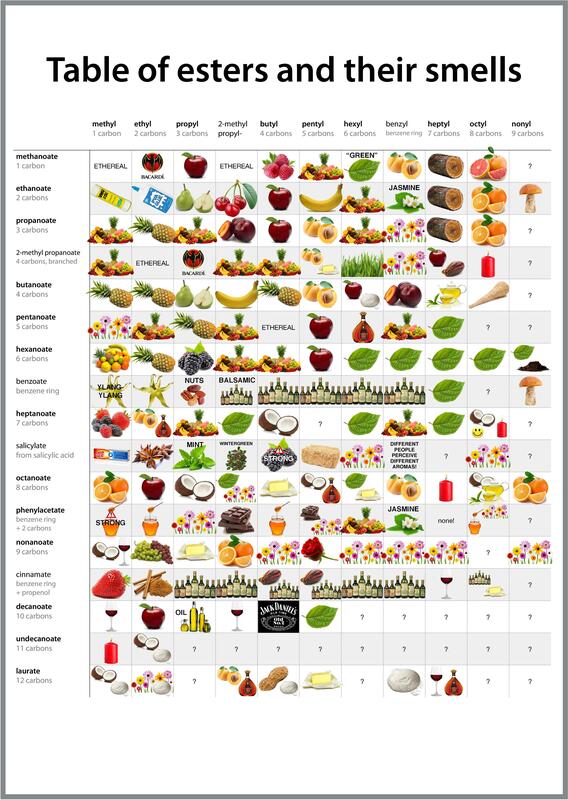 Shaun Holt and I recently co-wrote a paper for Research Review on the ingredients found in personal care products (e.g. shampoos, lotions and cosmetics). We analyse the recent surge in demand for ‘natural’ products and the beliefs that have been driving it. We’re not saying that natural products don’t work – in fact, quite the opposite. We’re saying that natural products, just like synthetic ones, can be harmful, beneficial or neutral depending on the dose and upon how they’re used. The terms “natural”, “chemical free” and “organic” are used frequently to market personal care products. However, the exact meaning of these terms is still unclear for consumers, and the use of these terms on labels is still unregulated in some markets. The purpose of this review is to provide clarity on the meanings of these terms and the implications of their application in the marketing of personal care products. The importance of applying a science-based approach to the assessment and recommendation of personal care products is also emphasised. This review is intended as an educational resource for healthcare professionals (HCPs), including nurses, midwives, pharmacists, and pharmacy assistants. Alkanes contain strong carbon-carbon single bonds and strong carbon-hydrogen bonds. There are no partial charges on alkane molecules that might initiate reactions. The effect is that alkanes only undergo very few reactions. Balance C, H and O in that order. REMEMBER TO INCLUDE ALL THE STATES! Alkanes can also undergo substitution, in which one of the hydrogen atoms is replaced with a halogen (e.g. F, Cl, Br, or I). Alkenes can under addition reactions with halogens, hydrogen gas or water. The first reaction happens at room temperature. If you have a gaseous alkene like ethene, you can bubble it through either pure liquid bromine or a solution of bromine in an organic solvent like tetrachloromethane. The reddish-brown bromine is decolourised as it reacts with the alkene. Chemguide is an excellent revision resource that goes a little further than VCE. Read the relevant Chemguide pages below. 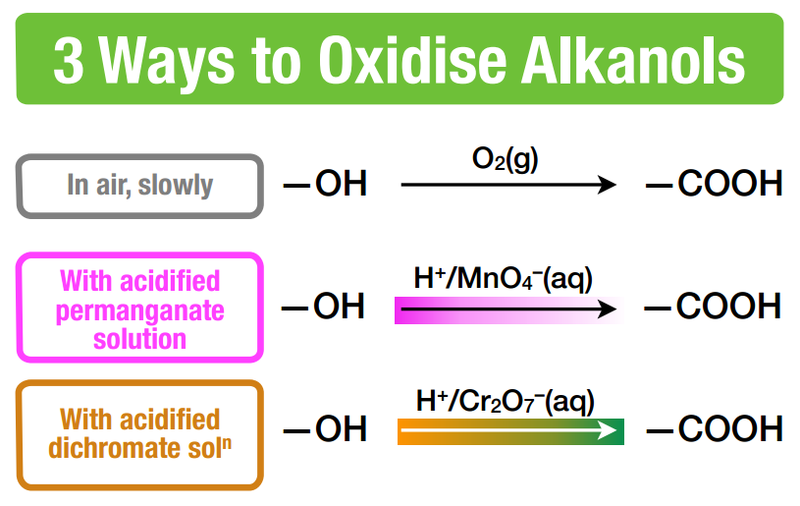 You will need to memorise the following ways to oxidise an alkanol into a carboxylic acid. For more information, visit this Chemguide page. Fractional distillation can be used to separate compounds with different boiling points. It is commonly used in the separation of the compounds contained within crude oil. More information about fractional distillation can be found here. When hydrochloric acid is added to propene, two products can be produced: 1-chloropropane and 2-chloropropane. Only the 1-chloropropane can be made into a carboxylic acid. We must therefore separate the 1-chloropropane from the 2-chloropropane by fractional distillation. When reacting alkenes with 3 or more carbons (such as propene) with hydrochloric acid, we must write “HCl and fractional distillation” on the arrow. Click here for a 4-minute explanatory video about fractional distillation (beyond the VCE Chemistry course). 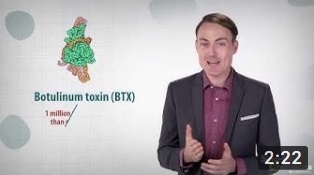 Ever wondered why ‘formic acid’ is so-called? Or montanic acid? Or melissic acid? 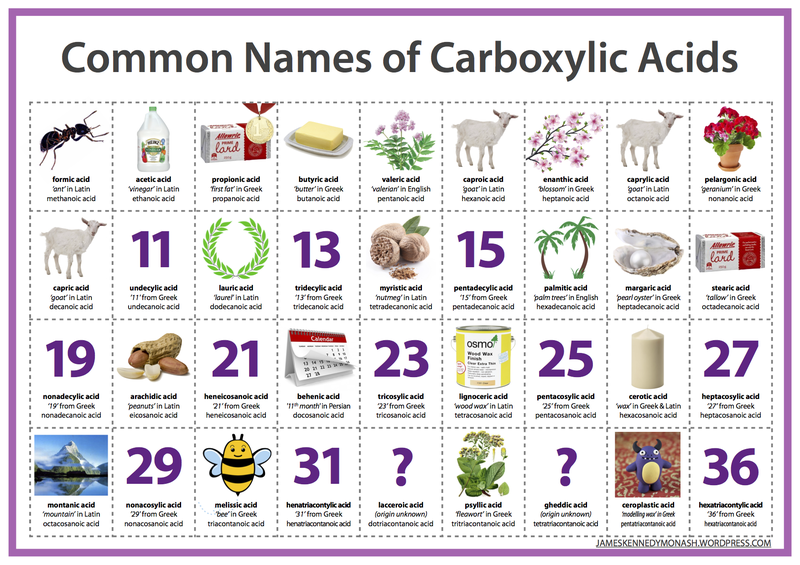 This handy A3 poster shows you the Latin/Greek/Persian origins of each of the carboxylic acids’ common names from ‘formic acid’ (no. 1) to ‘hexatriacontylic acid’ (no. 36). Each acid comes with a cute graphical description of where its name comes from. There are some interesting origin stories behind each of these names. Formic acid, for example, is found in insect stings (hence the name). Palmitic acid is found in palm trees (hence the name), and myristic acid is found in nutmeg. Three of the carboxylic acids are named after goats: caproic acid, caprylic acid and capric acid. Together, these three molecules comprise 15% of the fatty acids found in goats’ milk, and many reports also suggest that they smell ‘goat-like’! Many of the odd-numbered higher carboxylic acids are rarer in nature and thus didn’t earn a common name until recently. Undecylic acid, for example, which has eleven carbon atoms in its backbone, is named simply after the Greek word for ‘eleven’. Click here for more Chemistry posters. I enjoyed reading the discussion that last week’s Artificial vs Natural Peach spawned on Tumblr and Facebook. People discussed the meaning of “natural” versus “domesticated”, and debated whether humans have really “improved” fruits in the last few millennia or just evolved them into giant candy. 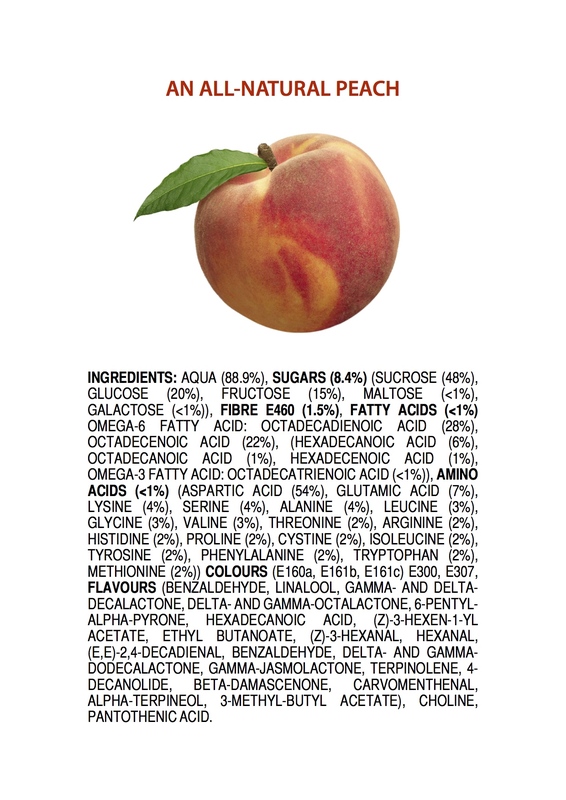 I hope that people now see the irony in the title, “Ingredients of an All-Natural Peach”. The fruits we grow aren’t natural at all—but I still love to eat them! I’m also looking for your ideas. What would you like to see the “ingredients” of next? Vanilla? Tea? List them in the comments below. Stay up-to-date by following @VCEasy on Twitter, where I tweet about Chemistry for visual learners. These posters usually appear there first. I’m obsessed with print. I love typefaces, I care about using the right quality paper and inks, and I’m fussy about alignment, kerning and line spacing. 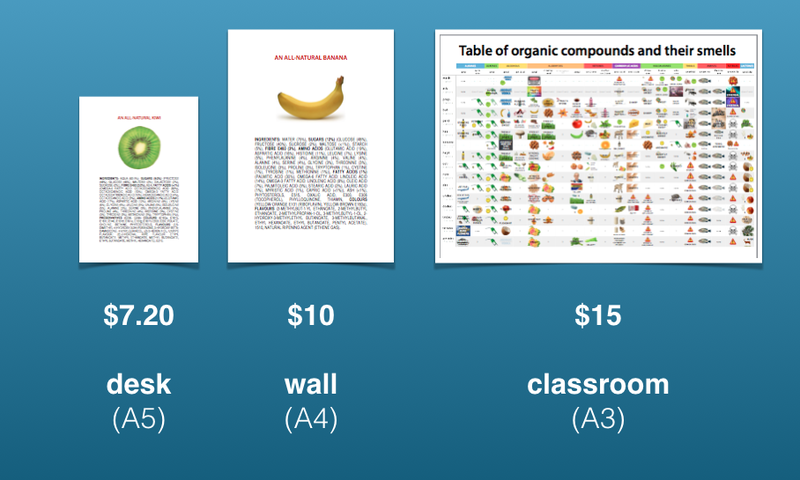 And that’s why I decided to sell “Ingredients” poster prints. I’ve got one of each of these prints, and—Wow!—they look so much more gorgeous in real life than on-screen. Ordering prints is a less formal affair than the T-Shirt Store—just cover my costs via PayPal and I’ll get the prints on the way to your address within 24 hours. 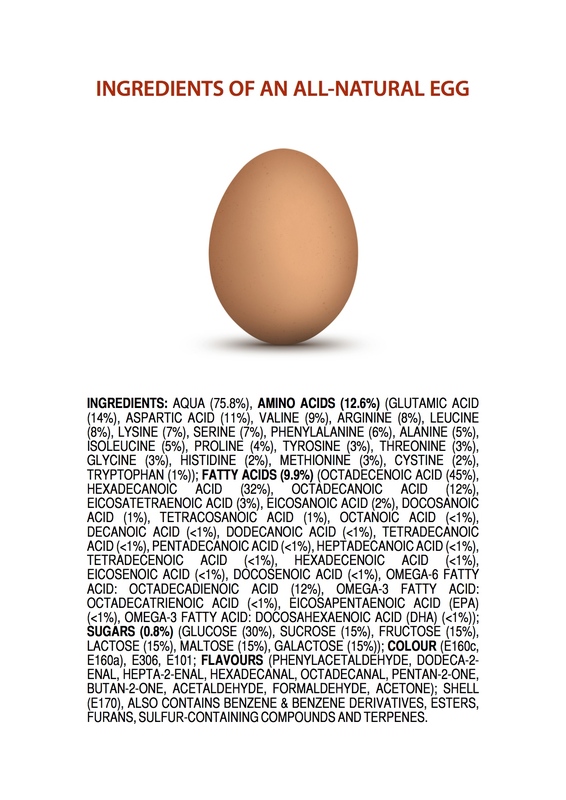 Click the Order Prints tab in the website’s ribbon to get your hands on some of these “Ingredients” prints. Love Science? Show off your love of “organic” chemistry with an Ingredients T-Shirt from James Kennedy Clothing. All our T-shirts are made in Australia. Priced from just $15.95 each. Just 10 days after it was created, the Ingredients of an All-Natural Banana was already the third most Reddited post of all time on Reddit Chemistry. They were downloaded 7,000 times last week from this website alone. I didn’t intend to make any more of these images. Three was enough. But I decided to take this Ingredients theme a bit further after I saw how widely they’d been circulated on Tumblr, Twitter, Facebook, and various other social media sites—many of which are in foreign languages—and none of which, I use.